A large canvas painted during the third art camp in 1998, representing the joint efforts of Manjit Bawa, Pritipal Ladi, Ranvinder Reddy, Surendran Nair, Nalini Malini, Dhruva Mistry, Paramjit Singh, Arpita Singh and Jayashree Chakravarty. Christie’s fourth consecutive India sale in Mumbai on December 18, promises to be an interesting one. 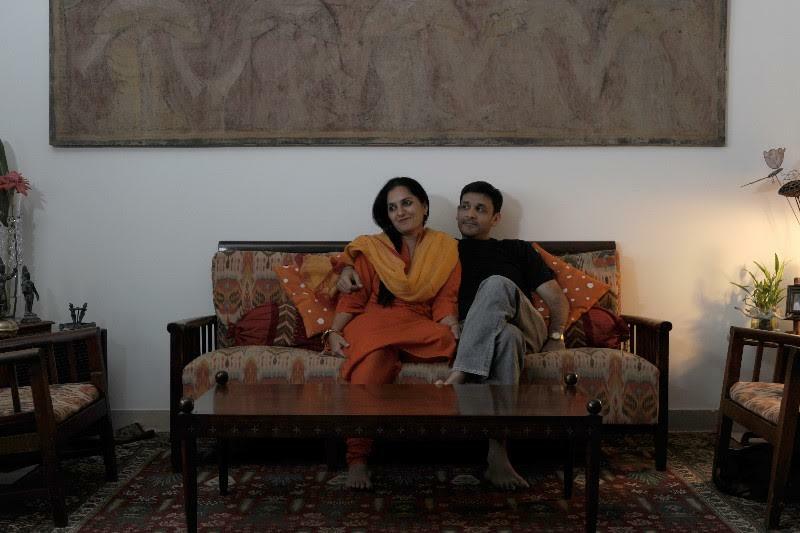 Leading the auction is Bengaluru based Abhishek and Radhika Poddar’s collection of modern Indian art, painstakingly built over the past 30 years. A total of 41 lots will be offered from this collection, including important works by Tyeb Mehta, Vasudeo S. Gaitonde, Ganesh Pyne, Meera Mukherjee, Bhupen Khakhar and several other modern Indian artists. According to Sonal Singh, Head of South Asian Modern and Contemporary Art, head of department, Christie’s, Mumbai, while outside of India there have been lager private collections offered for auction, for India, this is one of the most important collections from a living collector to come to auction. As each work is either acquired directly from the artist or from leading gallerists, each lot comes with an immaculate provenance. At the heart of the collection are seven works by Manjit Bawa, whom Abhishek met way back in 1987. According to Singh, the auction estimate for any work of art is based on several factors, including recent prices achieved for similar works by the artist, the object’s rarity, and its overall condition. “Since most of these works have been acquired directly from the artists, they have not been exhibited, published or offered for sale before, increasing their rarity,” she says. Its not easy deciding which works to put up on auction, especially since each work has a personal tale behind it. For Abhishek, it was tough deciding which works to put up for auction. The catalogue essay emphasises on the Poddars building one of India’s most comprehensive collections of modern and contemporary art, antiquities, folk and tribal art, and textiles. The collection also reflects their longstanding personal relationships with artists, gallerists and scholars, as well as their knowledge and connoisseurship which developed over the years. Their collecting has always been based on an innate respect for the arts, and a drive to learn about and document the country’s diverse cultural landscape. “When putting up your works in a public domain, the choice of works had to tie in with the essay,” says Abhishek. Now, the collection is growing indifferent directions. The highest valued work from the collection is Tyeb Mehta’s Untitled Diagonal), 1975, w hich shows two human figures, from the artist’s diagonal series (Lot 111, estimate: INR10,00,00,000 – 15,00,00,000 / US$1.5 – 2.2 million). This was an important acquisition for the Poddars from the late Kekoo Gandhy’s Gallery Chemould in Mumbai. It was also at Chemould that the Poddars also acquired the Gaitonde in the sale, a 1973 abstract work (Lot 129 estimate: INR 9,00,00,000-12,00,00,000 / US$ 1.3-1.6 million). Born and raised in a business family in Calcutta, Abhishek was familiarised with the basic notion of collecting and living with art at a young age. While studying at The Doon School, the legendary boarding school for boys in the Himalayan foothills of Dehradun, he established the school’s first art magazine. Akshat underlined Poddar’s early grasp of the various genres and geographies of the art world. After the magazine was launched, Abhishek made it a point to meet and thank all of the artists who contributed to the magazine, setting in motion several personal relationships, and further introductions that influenced the course of his collecting. Today, besides running the family business, Abhishek runs Tasveer, a gallery dedicated to photography. Radhika owns and manages the lifestyle store, Cinnamon. and contemporary art in India took off. According to Christie’s Singh, it represents the best works of a wide range of Indian artists, showcasing the ways in which their styles and idioms developed over time. Rare early works by Arpita Singh, Bhupen Khakhar, Meera Mukherjee and Ganesh Pyne help understand the evolution of these artist’s bodies of work. The collection is thus important for connoisseurs, collectors and art historians, offering a glimpse into a vital period of modern Indian art that is yet to be completely documented. So if you can still make it for the Mumbai preview on December 16 – 17 at the Taj Mahal Palace Hotel, it would be worth it.